The story of an uncommonly gentle man. Acrylics and watercolours in aquarelle paper. Vincent Price (as the Inventor) in his last significant film work. In a castle high on top of a hill lives an inventor’s greatest creation – Edward, a near-complete person. 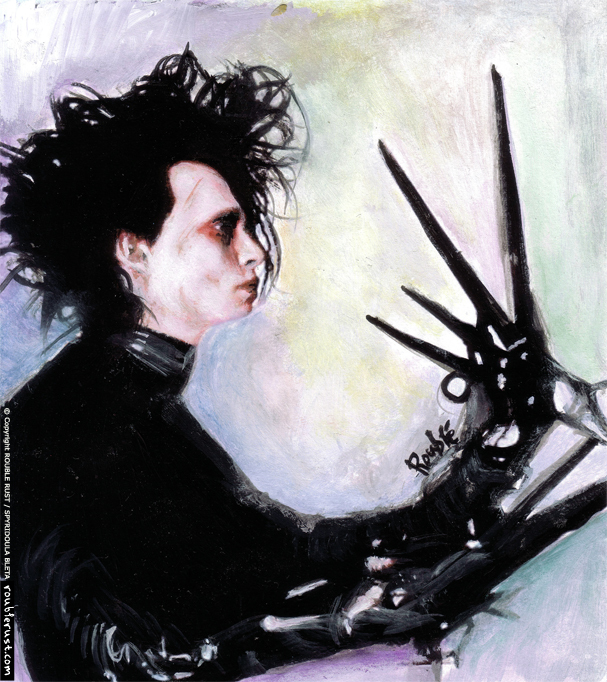 The creator died before he could finish his hands instead, the creation is left with metal scissors for hands. He has always lived alone, until a kind lady called Peg discovers him and welcomes Edward into her home.